Google has been working on the next version of Android, i.e., Android Q. A few pre-release builds have leaked out earlier, giving us a glimpse of some of the features of the upcoming version of Android. Thanks to the past few leaks it appears that Google has prioritised privacy in the next build and made multiple tweaks around the permissions that an app can access. We have also seen a few tweaks that Google made to the package installed UI that changes the app sideloading experience on Android Q. Android Q is expected to be previewed at Google I/O in May and will be officially launched in fall 2019. Folks over at XDA seems to have spotted a new change in Android Q that has to do with gesture navigation. Google introduced gesture navigation with Android Pie where the traditional three-button navigation layout was replaced with a two button layout. This two button layout consisted of a back button and a pill-shaped home button that could be controlled using gestures. Swipe-up on the home button would open the multitasking layout while a right swipe would jump to the last opened app. The back button had its traditional function and did not have any gestures associated with it. The new navigation setup spotted by XDA in a leaked build of Android Q has a single button navigation setup without the dedicated back button. Instead, it only has the pill-shaped home button and the user needs to use gestures to navigate around. A right swipe helps jump to the last opened app and Google seems to have improved the app switching animation which appears a lot smoother. Swipe-up from the home button opens up the multitasking menu where one can jump from one app to the other. Swiping left on the home button now acts as the back key. 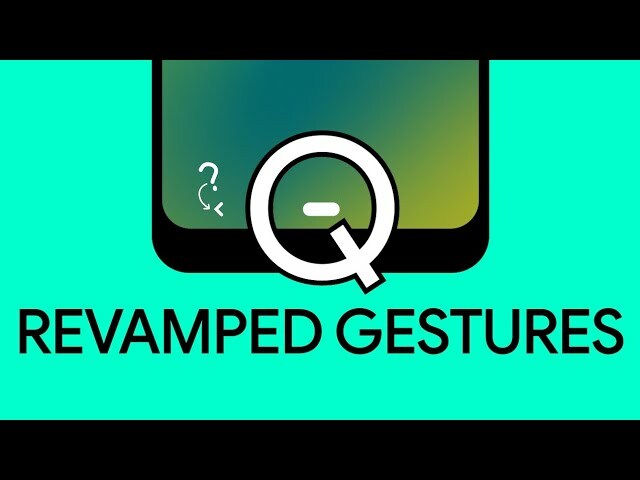 Since this is a leaked build of Android Q we will have to wait and see if these new gestures make their way to the developer preview builds of Android Q. Google is also expected to bring a system-wide dark mode and an improved privacy and permission control details of which are expected to be revealed at the Google I/O 2019. Only when these are available in the developer preview we can be certain about these making their way to the final build.